There no need to travel to Japan if you love the fragile beauty of cherry blossoms and want to have a chance to admire the shimmering pink and white flowers. Vietnam can meet your preferences there. Go Sapa to witness this romantic setting. 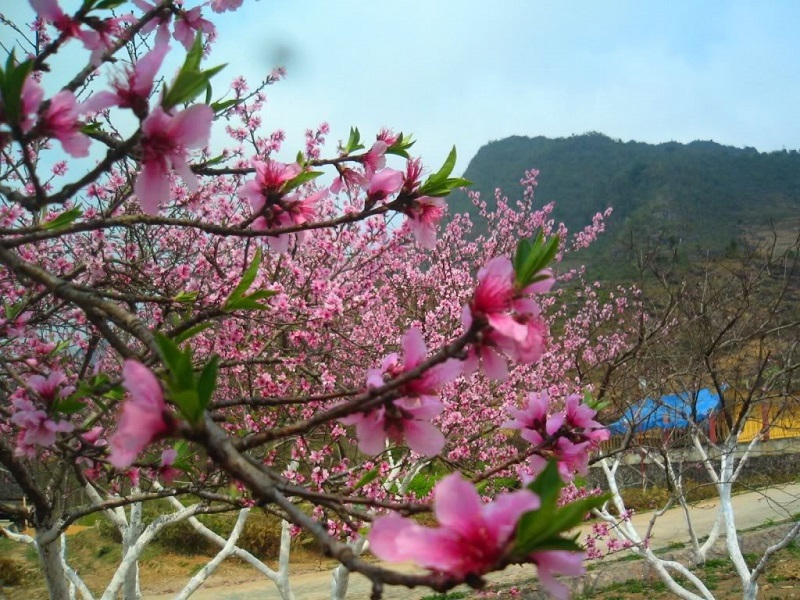 Coming to Sapa town on the day Tet, tourists will admire the amazing beauty of the cherry blossoms are blooming stretched. The flowers peach sappy carry signals a coming new year. The beauty of cherry flowers adorn Sapa rare beauty. 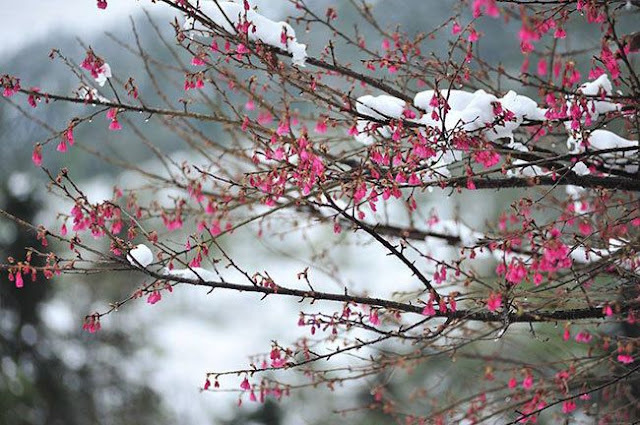 If you do love this type of flower, you may want to know these things before visiting Sapa for witnessing cherry blossoms. Tied to the Buddhist themes of mortality, mindfulness and living in the present, Japanese cherry blossoms are a timeless metaphor for human existence. Blooming season is powerful, glorious and intoxicating, but tragically short-lived — a visual reminder that our lives, too, are fleeting. Sakura are also revered as a symbol of rebirth. Hanami was in fact established as a ritual as early as 710, long before the rise of feudal Japan. Believed to represent the mountain deities that transformed into the gods of rice paddies in Japanese folk religions, cherry blossom trees signified agricultural reproduction.